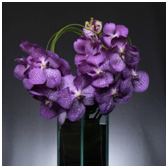 Welcome to Columbia Midtown Florist Manhattan Flower Delivery section. Here you will find out why we are number one when it comes to providing the best service for our customers in the Manhattahn area. Columbia Midtown Florist caters to customers in the best way possible and that implies adapting to our clients schedules and locations. We know how busy our fellow New Yorkers are so we guarantee quality and efficiency when delivering our elegant floral arrangements. We accommodate flower customers in locations like Upper East Side, Middle Village, Meatpacking District, Soho, Financial District, Chelsea, Little Italy, Chinatown and everywhere else in between. Along with our compliant delivery service, we also offer alternating promo codes which provide discounts, free shipping or complimentary items! So stop by your favorite Manhattan Flower Shop for the best NYC flowers. A birthday or an occasion slip your mind, that's where same day delivery comes in handy. In New York City, flower delivery for same-day service is a good way to go. A casual phone call to our floral design experts can have a beautiful bouquet on its way to your home or office in no time. It makes the gift of giving simple and quick, which means that you don’t have to lose a lot of time in making hard choices. Our same day flower delivery service is one of the number one New York City has to offer. It is largely regarded by many as one of our best services. The flowers arrive fresh and on time, so you don’t ever have to confess that it was a last minute gift. Better yet, you can immediately reward employees for their service. There is no waiting for the next day when the memory may be extinguished by the events of the evening.